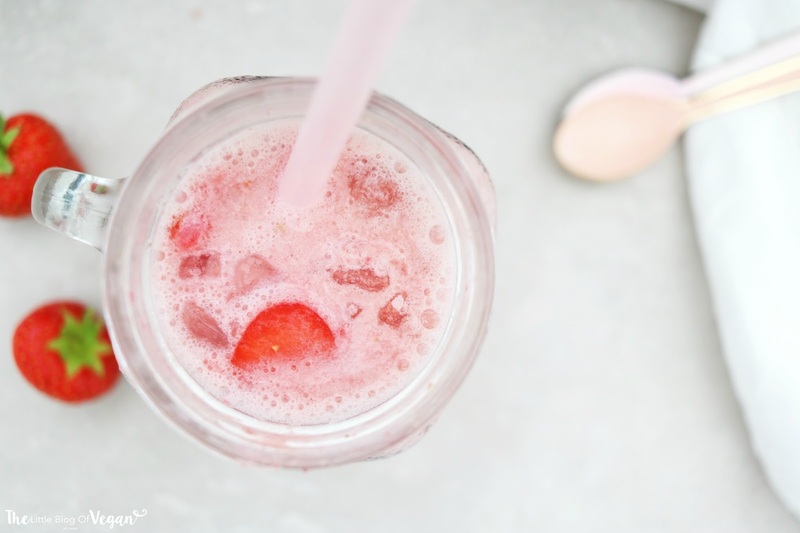 Recently I've been waking up and enjoying a freshly made strawberry smoothie for breakfast. A fruity smoothie is the perfect 'pick me up' to wake up to as it's healthy and super refreshing. I wanted to make it healthy by including natural ingredients and easy with only 3 ingredients. I know I don't want to spend ages in the morning making a tough recipe, easy and quick is always a bonus! 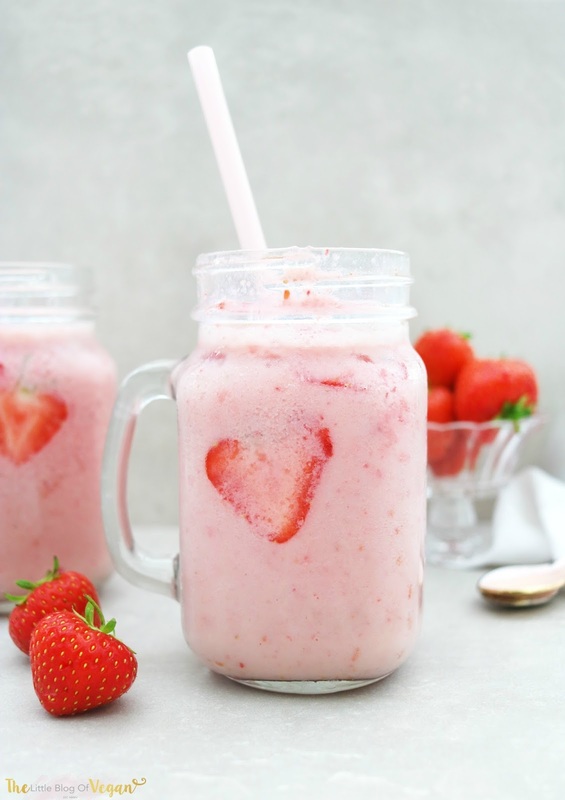 You don't always need to include ice-cream in order to make a creamy strawberry smoothie, almond milk is perfect. If you like strawberries, this is a 'shake' for you! Step 1- In a blender, add in the frozen strawberries, dairy-free milk and maple syrup. 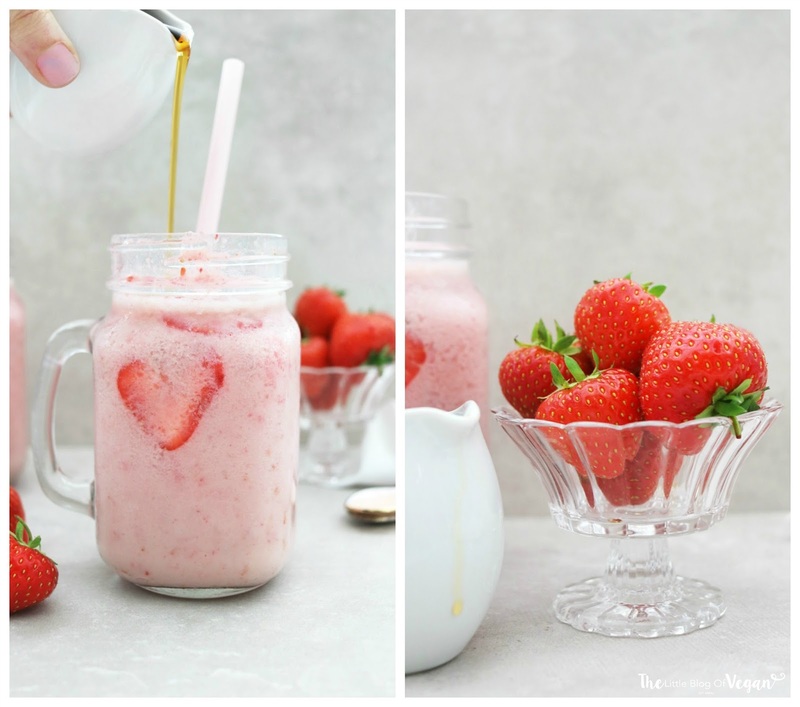 Step 2- Pour into a glass and top with a fresh strawberry, coconut cream and a straw. 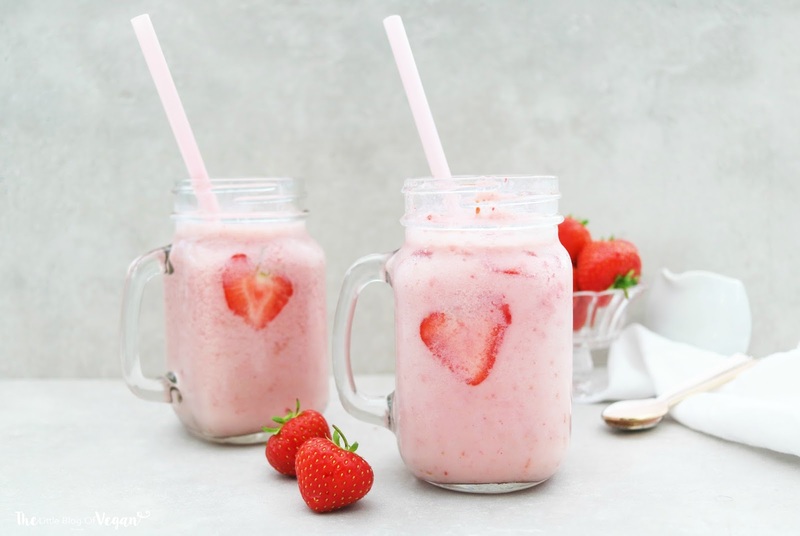 strawberry smoothie is one of my favorite drink.When I going out I always order smoothies especially strawberry,mangoes.But I do not try to prepare myself.I think this is the one of the easiest recipe.Thanks for the smoothies! Great recipe! This will be very nice to serve for my guest at home. It looks so tasty and sweet plus, the color makes it more appetizing. Strawberry's have been an all time favorite by my kids so I'm sure they will be delighted to see some strawberry smoothies at our table. Can you share more fruit smoothie recipe such as this? Apples or mangoes perhaps? Or is it just the same process but different procedures? I'll be looking forward in seeing more of your blogs!